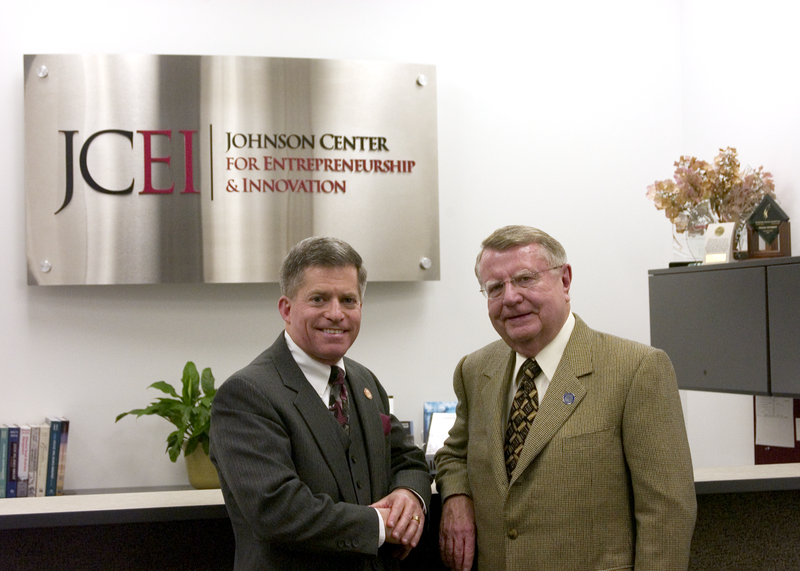 In 1998, Richard & Ruth Johnson provided the lead gift to create the Johnson Center for Entrepreneurship and Innovation (JCEI) to train the next generation of entrepreneurs at Indiana University’s Kelley School of Business. Dr. Betsy Gatewood was appointed to the endowed Jack M. Gill Chair of Entrepreneurship and served until 2004, when Dr. Donald F. Kuratko became the new Gill Chair and JCEI Director. Dr. Kuratko has brought energetic leadership and numerous nationally recognized entrepreneurship programs to the Kelley School. Since 1999, Jack Gill has worked with Dr. Gatewood, Dr. Kuratko and Dean of Medicine, Dr. Craig Brater, to help create innovative entrepreneur curricula and programs for MBAs, MDs, scientists and engineers. At the JCEI, Jack founded Velocity™, a flagship program, which provides the annual opportunity for 30 Kelley MBA students to attend an immersive entrepreneurial experience at the University of California, Berkeley, located near Silicon Valley, the nation’s leading high-tech center. Students meet many world-class entrepreneurs and hear their start-up stories, making Velocity™ a highly exhilarating and motivating experience.